Friendly Folk Records: News Update: Friendly Folk Records 2018 Facelift! News Update: Friendly Folk Records 2018 Facelift! 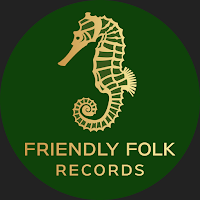 Friendly Folk Records is an independent record label for Folk Artists. We have developed a new course of action for 2018 by fine-tuning our unique record label that works together with you, our Artists, providing services you need (via referral basis). New alliances with trusted professionals for production, promotion and distribution, we support your music career. As with all businesses, the first six months were filled with growing pains and trial and error until we found like minded alliances. Happily we survived and landed on our feet and are heading the right direction. Sadly, our original website was crashed in October/2017, and with it all news. Friendly Folk Records was established May 15, 2017 on the exact date of 2-year anniversary of parent company, My Music Matters Management Triad (MMM-MT). The idea to create the folk record label was born from the frustration of our MMM-MT folk artists wanting to have the advantages that come with worldwide distribution of physical as well as digital music that are largely possible with a label. There were no folk genre labels in the Netherlands, and few in Western Europe, so Friendly Folk Records went from dream to reality. For the history of our label, you can find all posts, music releases, tours, festivals, photos, etc on our Facebook Page. Artists ALWAYS retain their RIGHTS, we have ONE YEAR contracts with option for renewal; no hidden costs nor agendas, no pushy salesmen, - and our referral service partner affiliates are ALWAYS transparent with their pricing. You know upfront EXACTLY what you pay for, and you are in control of your budget choices for your music promotion and production. Btw, because we work on a per release basis and do not tie Artists hands, this allows Artists to join us for as much time as they need for their promotion needs as well. You will see that some Artists have released multiple singles/albums; others only one. The choice is up to Artist. We only require a one year minimum exclusivity on the tracks. Working in cooperation with our parent company, My Music Matters-MT for: Management, Promotion, English writing/editing services, and booking referral network; distribution service label, Dutch Music Works is our contracted service associate for worldwide digital and physical distribution services; A-Broad Studios are available for rehearsal rooms, recording, mixing, mastering and production support; (we also have referrals to reputable production companies located in: EU, UK and USA for ordering CDs, Vinyls, and other merchandise. * Our Artists have complete freedom of choice for music production partners. Distribution exclusively provided by Friendly Folk Records. We are Folk! We are Friendly! We are Friendly Folk! If you are ready to join our family, drop a demo today We welcome all Folk genres! * Our parent company, My Music Matters-MT welcomes all genres for promotion and English writing services. Friendly Folk Records and My Music Matters-MT are international companies, registered in the Netherlands, as sole proprietorship of Kathy J. Keller. All Artists are under contract with both companies. Reproduction of images, music, name and branding of Artists and/or our company names of Friendly Folk Records and/or My Music Matters-MT require our written permission!